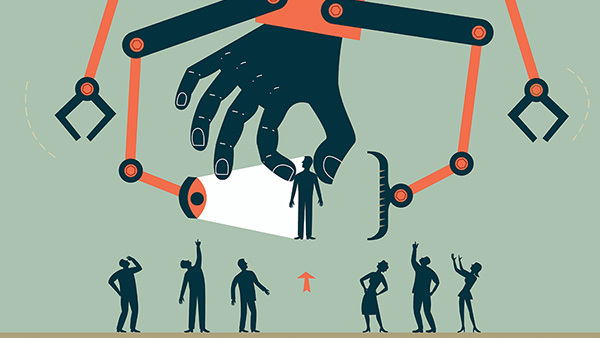 How advisors can screen for the best talent. If the candidates pass this step, we will look them up on the Internet, such as on LinkedIn or Facebook or just Googling their name. This is the way we learned one candidate had a DUI on her record—needless to say we passed on her. We need employees who can withstand a careful search by our clients, so we don’t want to see photos of our employees in drunken drug parties wearing scanty clothes. In a perfect world, both our COO and I will call and talk to the candidates in advance of a face-to-face meeting. I found it very helpful for us to do two separate calls. Our COO, Josh, does a preliminary screening and eliminates any who do not come across well during a phone call. I like to do these calls to get a good sense of the candidate before our face-to-face interviews. I always start off by asking if they have any questions for me. This tells me if they have done their homework on us. Surprisingly few have! It should be pretty easy to find out information about me and the firm—all you have to do is Google my name. I am amazed at how few people actually do this. Our business philosophy and what we clearly stand for is all over the Web; smart candidates will familiarize themselves with our firm and each of the team members. I also use this time to cheerlead Josh and the rest of the team. He is smart, dedicated and an amazing COO and I want any candidate to appreciate how much they will enjoy working with him. A couple of things we do to create a great experience for our candidates—we have a welcome sign with their name on it. We want them to know, whether they come to work with us or not, they are special to us. We also ask what we call “offensive” and “defensive” questions. It goes like this: Tell me about a time at your previous job where you were facing a challenge. What was the problem? How did you fix it? What were the results? We ask these two to three times. We want to see how they solve problems. Then we ask them to tell us about a time that was not successful. We want to see how they handle failure. We have them interview the team members who will part of their everyday work life. I let both the candidate and the existing team know they should be completely honest with each other. I want any prospective employee to know the good, the bad and the ugly. We don’t want them to have any surprises coming to work for us. In this regard, I tell them my worst failings—I am likely to give them “drive by” instructions without enough detail and I expect excellent work, every time. If this doesn’t scare them off, then I will go to the next steps. The team tells me how grateful they are that we take their input into every hiring decision. I want to make sure the existing team will be happy working with the new employee. We once hired a marketing manager for one of our other companies, only to learn he couldn’t type! I didn’t think that was even possible today. We have experimented with proofreading and editing tests along with typing tests to see how fast and accurately they do type. Now we are likely to give them an article or a page on our website, and ask them to write a two paragraph summary or to create a PowerPoint slide presentation on the topic. We might give them 20 to 30 minutes to do this task on-site at our office. This lets us know how well they can communicate and whether they have some familiarity with common software. We also have them take a Kolbe A Index to see how they approach work and solve problems. This costs us about $50, and is very helpful in finding the right person for the right seat on the bus. If they have gotten this far, we will check their references. I also like to see a certified copy of their college transcript. For prospects who hold securities or insurance licenses, we will check them out to look for any “dings” on their records. Once we feel like we have the right candidate, we make a written offer. It outlines their base pay, and what they have to do for a raise. It also describes how we do quarterly bonuses, based on profits and employee reviews. We list when they can expect reviews. Although, I have noticed our pay is toward the high end of the pay grade, we usually start an employee at a little less than where they will land in a few months. This allows us to increase their salary if they meet their benchmarks. What we don’t do: We don’t use any recruiting firms for this kind of search. We got burned many years ago with some very expensive and highly unqualified candidates. We prefer to do the legwork ourselves. Good luck in creating your own dream team.